The Lab4Living team is based in within the Art & Design Research Centre at Sheffield Hallam University’s City Campus. For general enquiries, please contact the Lab4Living administrator, Julie Roe in the first instance. 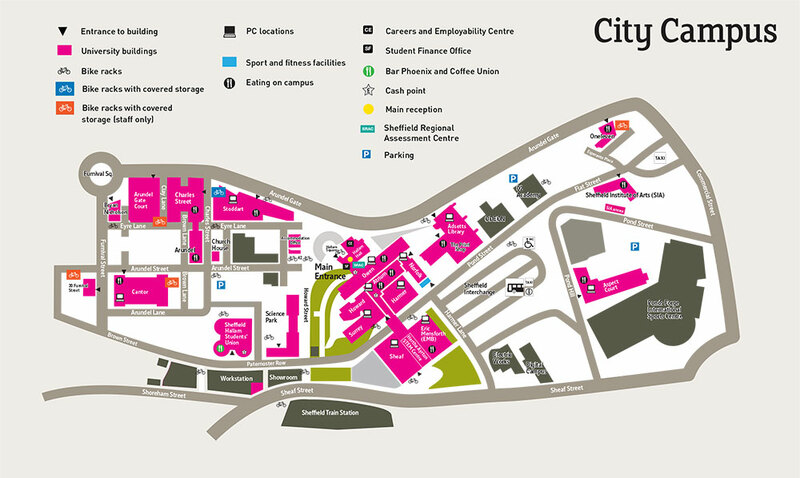 The University’s City Campus is located opposite Sheffield train station and next to Sheffield bus station – as you walk out of the station you are right in the middle of our campus. Disabled visitors are advised to phone before visiting so that suitable parkign can be arranged. There is limited parking on all campuses. Visitors are advised in the first instance to use public transport if possible, otherwise to use NCP or other pay and display parking where avaiable. Sheffield’s motorway link is the M1, junctions 33 and 34.You are recommended to leave at junction 33 and proceed into the city centre by way of the Parkway (A630). Sheffield’s National coach service for long distance travel is comprehensive and efficient. Its central pick up and terminal point is at the Transport Interchange. Regular inter-city services operate between Sheffield and other main line towns and cities. London is two-and-a-half hours away by train, Manchester, Leeds and Birmingham one hour and Edinburgh four hours. Sheffield’s Midland Station is just a two minute walk away from our City Campus and the nearby Transport Interchange links you directly to our other campus at Collegiate Crescent.